Take Exit 19-A toward Anderson, and travel on Clemson Blvd. heading toward downtown Anderson. Turn right onto Civic Center Blvd. Travel approximately 1 mile until Civic Center Blvd. ends at the first and only traffic signal. Turn right onto MKL Jr. Blvd. (formerly known as Mall Road). The Civic Center of Anderson will be seen immediately on the right. Travel to the first traffic signal. Turn right at the traffic signal onto Camson Road. The Civic Center of Anderson main entrance is the first road on the right. Upon entering the Civic Center’s main drive, Amphitheater parking is available in the Civic Center parking lot. For very large events, Amphitheater spill-over parking is available in grass lots located on Camson Road. Enter the Anderson Sports Center main drive (known as Jim Ed Rice Parkway), located to the right on Civic Center Blvd. (prior to the traffic signal). 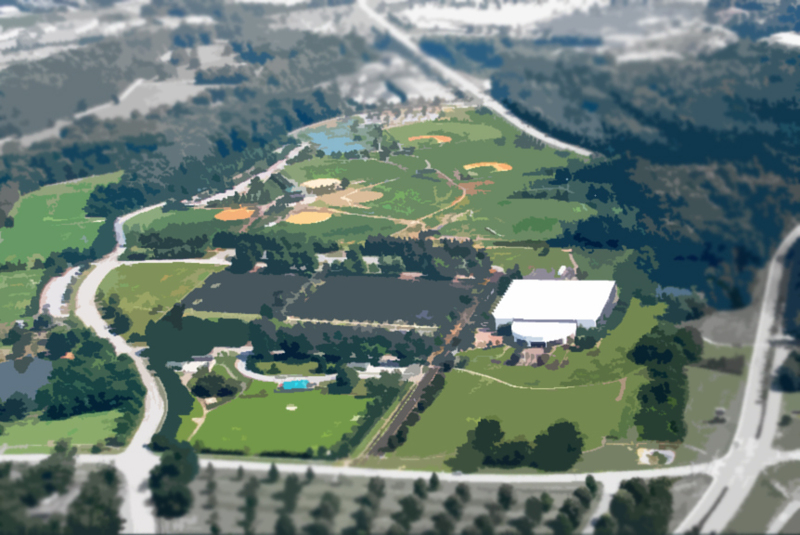 Parking is available for softball, baseball, and tennis in the main Sports Center parking lot. Parking for soccer is located in a lot in front of the fields, with spill-over parking available in the main Civic Center parking lot. After turning right onto Camson Road, the main entrance into these facilities is the second road to the right, known as Jim Ed Rice Parkway. The directions provided above are informational only. No representation is made or warranty given as to their content, road conditions or route usability or expeditiousness. User assumes all risk of use. The Anderson Sports & Entertainment Center and its associates assume no responsibility for any loss or delay resulting from such use. ©2018 Anderson Sports & Entertainment Center. All rights reserved. Your privacy matters to us, and your email will not be shared or sold.